A beautiful smile is the most expensive ornament a person can wear. It reflects confidence, good health and makes you more approachable. Do you hide your teeth when smiling? Do you hesitate to say cheese for photographs? Call us and make an appointment to meet our cosmetic dentist and undergo smile analysis. We, at Synergy Dental Group, can tell you about the aesthetic issues with your teeth and gums and how they can be changed to make your smile more attractive. So why delay? Contact our Sonoma dental office right away. We at Synergy Dental Group believe that anyone can own a good-looking smile provided he/she has taken good care of their oral health. Routine dental visits not only help patients prevent dental problems, but it also helps dentists identify aesthetic issues at an early stage and take necessary steps to avoid the same. Cosmetic dentistry is the art of making best use of available dental technologies to enhance the appearance of the teeth and gums while not compromising on oral health. Thanks to the advancement in dental technology, any person, irrespective of the age, can dream of having an attractive smile. There are restorative materials, whitening agents and finely designed shells that can completely transform the smile of a person. A wide-range of aesthetic issues can be addressed through cosmetic dentistry procedures performed at our Sonoma office. Following are some of the common problems that are solved through treatment procedures. The first phase of cosmetic dentistry involves an examination and a questionnaire. It is important for patients to actively take part in the smile makeover process to ensure best results are achieved. During the phase of examination, our dentist checks for the status of oral health and looks for aesthetic issues with the teeth and gums. We take pictures of the teeth and look for errors. Impressions and X-rays are taken if found necessary. Our dentist tries to understand what patients expect from the treatment. On thorough analysis of the smile, we can come up with the treatment options which can address the issues. The treatment options are explained to patients. Sometimes a single procedure may be sufficient to bring about the transformation. Sometimes the smile makeover process may involve a combination of two or more cosmetic dental procedures. Our team makes sure that the patient is informed about the treatment options and he/she makes a learned decision. Porcelain crowns are caps that are used to cover damaged or decayed teeth. Porcelain is a material that reflects more light and looks very similar to a natural tooth. The process of restoring a tooth using a porcelain crown is recommended in the following cases. At Synergy Dental Group, we have high-end milling equipment which can fabricate a crown within minutes. 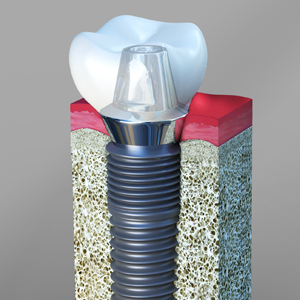 This helps us to restore teeth using beautiful crowns on the same day. Porcelain veneers are thin shells which are specially designed to reshape teeth. The teeth are prepared (removal of small layer at the front) and the shells are bonded over the front surface. Porcelain shells help our cosmetic dentist bring about a major transformation in the smile. The following are a few things that can be done using veneers. Composite fillings are restorative materials used to fill cavities that are caused from tooth decay. The major aesthetic advantage of composite fillings are they can be custom-made to suite the natural color of teeth. Thanks to these fillings, a patient can smile more openly without feeling conscious about the restoration. Tooth whitening is the process of brightening the teeth by clearing stains from the enamel layer. At our office, we design custom-fit trays that patients should wear for a stipulated period. The trays contain whitening agents that bring about the change. The whitening gel enters the porous enamel layer and undergoes oxidation to clear the stain. Porcelain bridges are restorations that are used to replace missing teeth. The restoration is supported by dental implants or natural teeth. Porcelain material used for the restoration gives it an aesthetic advantage. The bridge is specifically fabricated to ensure that it withstands the bite load and looks natural. Invisalign® and ClearCorrect are two appliances which have revolutionized the field of orthodontics. The introduction of these appliances paved way for treating orthodontic problems in a virtually invisible way. Both these appliances are effective in straightening teeth and improving alignment to make the smile more attractive.